Live Oak scoreboard finally stops blinking! Welcome to the 2005 Season! About 1000 kids from new and returning families have registered online from home or at one of our two Walk-in Registrations. We strongly urge any late comers to register immediately to make our planning a bit easier. The mid-January deadline is approaching fast! 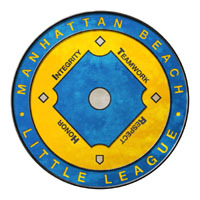 Tryouts/evaluations for kids new to the league for coach and kid pitch as well as kids requesting to play up will be held on Jan. 10 and 17 at a TBD field. New registrants will be contacted soon to be asked to show proof of residency and birth at the tryouts. Opening Ceremonies and Parade will be held early March.